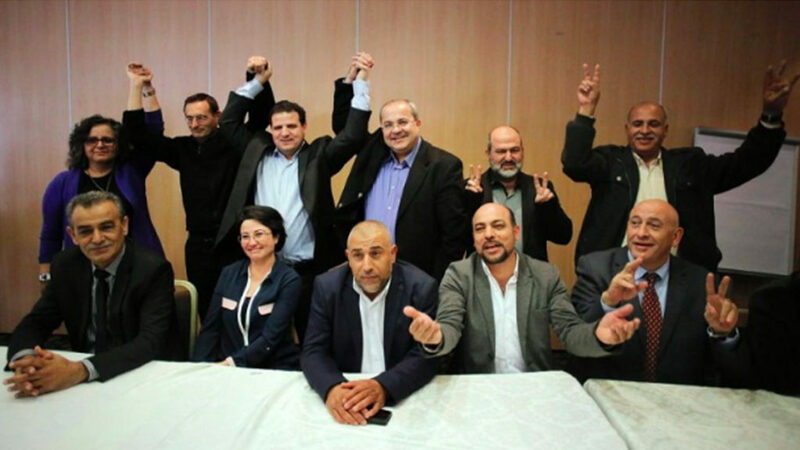 The Dilemma of Israel’s Joint List Party: Participate or Boycott? MARC STEINER: Welcome to The Real News. I’m Marc Steiner. Great to have you all with us. Approximately 22 percent of the 9 million Israeli citizens are non-Jews; the majority of those are Palestinians. They do have representation in the Israeli parliament, the Knesset, but that representation has come under increasing pressure from Israeli leaders, when they reprimanded one member and worked to silence Palestinian members and members of Knesset at another event, to the fracturing of the United Front of Palestinian Israelis they had with one another and their Jewish allies. Why fracturing? Well, we’ll talk about that. On the one hand, Palestinian citizens of Israel use Knesset to fight against institutional racism and discrimination. On the other hand, the Israeli government uses the fact that Palestinians sit in the Knesset to prove that non-Jews have the right to vote and that Israel is truly a democratic country. In 2015, Israel increased the minimum percentage for a party to hold seats in the Knesset to 3.25 percent of the vote. Now, that political maneuver forced the three so-called Arab parties to join forces, creating a united front, in essence, called the Joint List. Joint List is comprised of three very different parties, the left wing progressive party, Hadash, the national Palestinian Balad party, and the Islamic Ra’am party which itself was unified with Ta’al under the leadership of Ahmed Tibi. So the chairman of the Joint List, Knesset member Iman Ouda, spoke to Israeli television just three weeks ago and had this to say. Despite this call for unity, one of the three parties comprising the Joint List, Ra’am-Ta’al, as I said under the leadership of Ahmed Tibi, decided to split off from the Joint List and run on its own. So one really has to ask the question, given the dramatic rise of the ever more extreme right in Israeli politics, is this the right time for parties that stands the left and that are engaged in the fight for minority rights to really split? Well, we’re now joined by Israeli Knesset member Dov Hanin. And Dov Hanin is a fascinating political figure in Israeli politics as a lawyer, environmental activist. He studied the law, as I said, has a PhD in Political Science from Tel Aviv University, postdoc work at Oxford University on the relationship between social and environmental movements and questions. And he joined the Hadash party in Israel, which then became part of the Joint List. He’s now served 13 years as a member of the Knesset. And although he was constantly in the opposition, he amazingly enough passed more laws than any other member of the Knesset. How did he do that? We’re going to find out. Hanin is the only Jewish member who is part of the Joint List, and he recently announced that he will retire from the parliament, not to participate in these elections coming up as soon as a candidate, but will continue his work as an activist. And welcome, good to have you with us. DOV HANIN: Hello, good evening. MARC STEINER: So let’s just jump into this. I’m curious about a couple of things. I mean, the Hadash Party. Explain to our viewers a bit about who the Hadash party is on the left, where they come from, how they’ve been doing this fight in the Knesset, and why you’re the only Jewish member and what that means. DOV HANIN: Well, actually, Hadash is a movement that is based on three basics principles. The first principle is socialist values. The second principle is our struggle to achieve a just and comprehensive peace between Israel and the Palestinians, between Israel and the Arab world. We would like to see this peace being achieved on the basis of two states with the 4th of June’s 1967 border as the border between these two states. And third, the very important principle of Hadash is our belief in a joint Jewish-Arab political movement, joint Jewish-Arab political struggle. And I joined Hadash because I support three very important principles. But as you said, back in 2015 when the right wing government raised the electoral threshold, the number of votes needed in order to enter Israeli Knesset, our movement, Hadash, was forced to join forces with other political movements or parties based on the Arab population in order to stay alive. So the real reason why the Joint List was created was not a gradual rapprochement between the various parties, but actually had the political need of all these movements, all these parties to stay alive with the new higher electoral threshold. MARC STEINER: So what is it about Hadash, or is it the Joint List, where at least one member has to be a Jewish member, is that a very conscious decision on the part of Hadash? DOV HANIN: Well, in Hadash, we have internal democratic elections. I was elected in secret ballot all the times. But we would like our movement to be a Jewish-Arab movement, and therefore, we would like also our faction in the Knesset to be Jewish-Arab. We have four Knesset members, I am the only Jewish member of the Knesset section of Hadash. But as a movement, we have activists, those coming from the Jewish population and from the Arab minority inside Israel. MARC STEINER: So I think we’d all be very curious to find out how you, who has been vilified by a number of people in parliament and in Israeli politics and were so successful as a Knesset member in making coalitions to pass laws around the environment especially, and how you could pull that off given that you’re a member of Hadash and how people vilify that party as well. So how did you do that? I mean, how do you end up becoming so effective, given the politics that you represent? DOV HANIN: As a matter of fact, you are right. Since being elected to the Knesset, I was able to pass laws, and 100 different laws that I initiated, and they are now part and parcel of the Israeli book of laws. These are environmental laws, social laws, laws defending the homosexual communities, and laws defending human rights, including the rights of prisoners in Israeli prisons. So I am very satisfied with my legislation. To try to answer you very quickly, being the Knesset member for the opposition in Israel is hard, it’s a difficult profession. We should do it very, very professionally, and we should use all the opportunities that arise from time to time because of the internal contradiction in the political camp of the governing parties. We should learn to find ways to use all the cracks in the systems, using this possibility. MARC STEINER: So it is amazing to me, I mean, given that you have been vilified as being–some people even called you a terrorist and a traitor and more. Just one very quick question, I’m just curious. I mean, how does it feel to sit in a parliament when you know you’re on the outside, especially more increasingly so since the right has become so much more powerful in Israel? It must be a very difficult thing to kind of go through. DOV HANIN: Well, serving in the Knesset is indeed very difficult for someone like me, who opposed the governing coalition very, very sharply. But since being elected to the Knesset, I always say to myself that I serve in the Knesset not only to condemn the present situation, but to try also to change it. Condemning the government is very, very important of course, and very much needed in Israel, but it is not enough. We should use the possibilities we have as Knesset members in order to press for concrete changes that will make the practical lives of people in Israel a bit less difficult. MARC STEINER: In the years you’ve served in the Parliament, despite fierce opposition from others, the Nakba Law was passed that silenced the commemoration of the ethnic cleansing that took place of Palestinians in ’48, the boycott law, which criminalized all those who support the boycott movement against Israel, BDS, and most recently, the law of the nation which was passed, that seemed to enshrine, some would argue, an apartheid political system in Israel. And many Palestinians believe that participating in these elections now are no longer worthwhile, and one of your main partners has pulled out of the coalition in the Joint List. And so, what does that portend for the future political struggle, from your perspective in Israel, with this kind of splinter the Joint List and all these recent laws that have been passed? I mean, what do you think unfolds here? DOV HANIN: Well, as you said, the Knesset unfortunately passed very, very bad laws, but you should know that we were able to stop another set of very, very difficult laws. So they were able to pass some laws, but they failed to pass some other legislation which were also very dangerous. So being at the Knesset is not fruitless. We are struggling very hard. Not always we succeed, unfortunately. There are times like in the new law of Israel as the nation-state of the Jewish people, where we failed, unfortunately. But we do not fail always. There are also times, many times, where we are able, through cooperation with other forces, to stop difficult and very, very harmful legislation being put forward by the right wing government in Israel. To call the Arab population in Israel to boycott the elections is to give a big present to the Israeli right wing, because our population in Israel is a minority. And this minority cannot really change the situation by itself. However, it is not possible to change the situation for the better in Israel without the political force of the Arabic minority in Israel. Without the Arabic minority in Israel, the right wing forces in Israel will be in permanent majority. Therefore, what we call the Arab population in Israel is to come to vote en masse and to vote against the right wing, to support us, to support other democratic forces in order to put their political weight behind the forces of change in Israel. MARC STEINER: So just finally, very quickly here, so if the party backs out of the Joint List, which it said it is doing, can the Joint List actually reach the threshold to have members in parliament and be significant if that’s put in place? DOV HANIN: I do hope that the party that left the Joint List will rejoin it. I think that, as I told you, they are four different parties with huge differences between them. And therefore, it is very natural for each party to try to improve its position vis a vis the other parties in the Joint List. I do hope that with the elections coming nearer, all the forces, all the parties will reconsider. And they do hope that also this party of Dr. Ahmed Tibi will rejoin the Joint List in order to make sure that no Arab and progressive votes will be lost in these elections. MARC STEINER: But you’re not running again. You’re not standing for the Knesset. DOV HANIN: No, I’m not standing again for the Knesset. As I told you, I come out of the Knesset with many, many achievements. But I’m really worried about the general direction of Israeli society and I would like to focus on walking the ground, walk with people to change the general direction of Israeli public opinion. I mean, all the focus on this very, very important job, I would like not to spend all the time in the legislation and in the committees of the Knesset. MARC STEINER: Well, Dov Hanin, it’s been a pleasure to talk with you. I look forward to doing it again around the elections and more. Thank you for your work and thank you for joining us here at Real News today. DOV HANIN: Thank you very much. MARC STEINER: And I’m Marc Steiner here for The Real News Network. Thank you all so much for watching. Take care.